This junky little building is largely empty. Does anyone know if there are plans to redevelop it? I hope so, because it's an eyesore. Supposedly, KRE Properties owns it. Does anyone know of development plans? MIDTOWN — A huge new residential development could soon come to Midtown, according to a report. 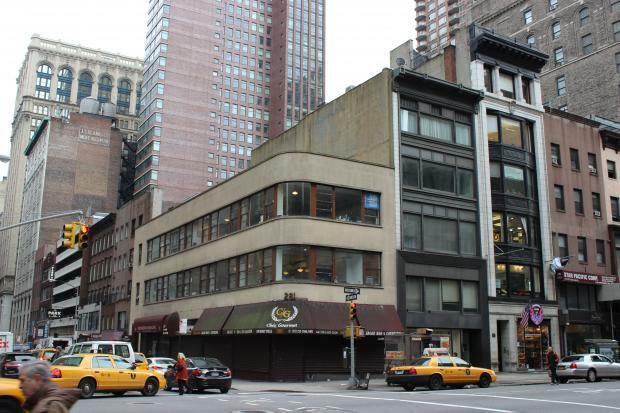 Jon Kushner, a developer with the Kushner Real Estate Group, purchased three buildings at the corner of Fifth Avenue and West 30th Street in the hopes of building a high-end condo there, according to a report in Bisnow. The condo at 281 Fifth Ave. would be 40 stories and about 135,000 square feet, Kushner said, according to the report. KRE purchased the buildings in 2012, according to city records. At three floors, the building is easily among the smallest on the block and could be build much higher under current zoning. The proposed condo would be designed by HWKN Architects, the report said. The spot is currently a shuttered deli. Headquartered in New Jersey, KRE owns over 100 properties and has expanded in New York in recent years. Kushner did not respond to a request for comment. The Kushner Real Estate Group hopes to build a 40-story condo at this spot. Too bad. I like the taller white building. I do too. I don't think that's included though. I think that the third building is on 30th St. This could be great news if they construct a decent building. Thanks, Derek. Hopefully, they won't acquire the white building with the bay windows. I also hope that something decent is built here and not some POS like the Dylan rental or the blue POS across from the ESB. That little piece of junk on the corner can't come down soon enough, together with the adjacent building on 30th that was stripped of its ornamentation. Kushner has sold the property. Poor little streamlined building doesn't get any love! This site cannot be redeveloped soon enough. That corner is filthy and blighted. One of the few times I agree with you. That is a very depressing corner on Fifth Ave and it needn't be. This filthy corner cannot be redeveloped soon enough. Hopefully, something nice will rise there. This area has the potential to be beautiful.